Newly born babies have the cutest hair ever. Unfortunately, within few months, this cute hair starts to gradually disappear as they grow up. Unfortunately, when this new hair starts to take root, the unfathomable dilemma begins for the parents on how to maintain this new hair type usually characterized by unusual color and texture. What most people don’t seem to know is the fact that this is entirely normal given the hormonal changes in the body. Cute as the hair is, it comes with its own fair share of challenges to maintain. So as a parent what should you do? We have rounded up 5 best tips to maintain a healthy hair for your baby from washing it several days a week, combing, and many others. These tips have been tried and tested by some leading hair stylists. Irrespective of your little one's hair type, you will find the tips helpful in giving your kid a healthy and manageable hair. Brush their hair and scalp on a daily basis before they hit the bath. Brushing does the magic trick when it comes to getting rid of dead skin cells on the scalp. It’s important to mention the dead skin cells impede new hair growth by clogging the hair follicles. Brushing also arouses circulation smearing the natural body oils to the full length of the hair strands. This gives your kid the bragging rights to boast of moisturized ends and healthy looking hair. 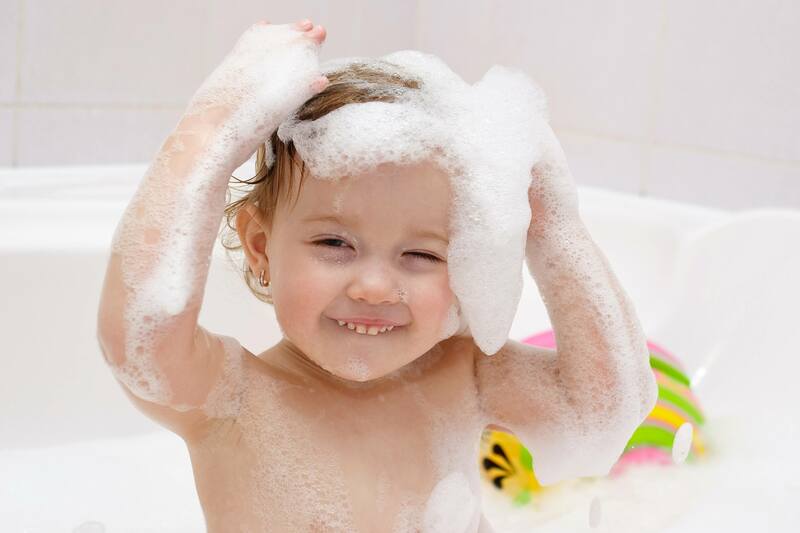 Unlike grownups, babies don’t require daily shower for one simple reason; they don’t move around that often thus their hair is not necessarily dirty. This means they can afford to take a shower twice per week save for those with cradle cap. But, in case of this condition, you can augment the hair cleaning frequency to 3 times a week. Carefully choosing the type of shampoo to use should also be an essential element in maintaining a healthy hair. There are baby shampoos which are specifically made for this young lads, and it’s probably a good idea to stock them in plenty. Adult shampoos contain chemicals and detergents that may interact with their delicate skin so stay clear from them. Before washing the hair, ensure that you rub the shampoo with your palms to ensure you smash any remnants of the shampoo flakes. In addition to that, ensure no shampoo goes into their eyes even if it a tear-free shampoo. Irrespective of being tear-free, they can sting the delicate eyes if an opportunity presents itself. A dry scalp can give your baby one hell of time. It leads to dramatic and intense scratching of the scalp which eventually opens the floodgates of hair loss. If you notice dramatic texture or dryness on the scalp, you can mix baby oil and mix with castor and apply on the scalp. Also, ensure they dawn in a cap once you plan to take them outside for sun-bathing. This will significantly reduce the drying of the scalp at the same time countering sweating which can cause itching. 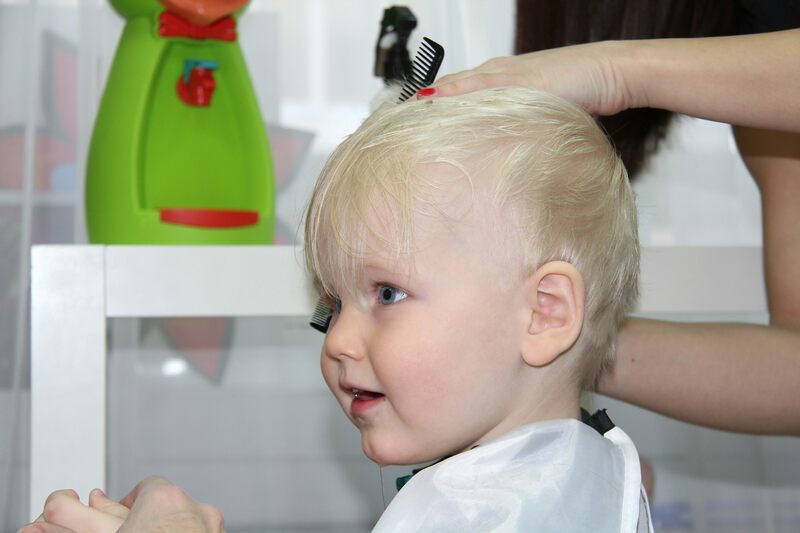 Once the kids attain the age of one year or so, their hair seizes to be admirable, cute, and soft as it used to be. In this case, they need a haircut. Engage a professional barber to undertake this task. And, since most kids fear the machine, you can inspire confidence to get the haircut by accompanying them. As a dad, you can also choose to take them with you whenever you go for a shave yourself and encourage them to do so. Most parents make the mistake of ambushing their kids for a shave while sleeping. What happens next (GOD FORGIVE THEM) they end up scaring them even more. We all have seen kids who dread barbershops right? That’s the kind of problem you want to avoid by all means necessary. We are all alive to the concept of garbage in garbage out. The journey to having a healthy hair begins at the early stages of pregnancy. As an expectant parent, always make sure you eat healthy food knowing all too well that you are eating for your baby as well. Even after the baby is born, continue breastfeeding them up to the recommended period. Breast milk significantly affects many aspects of growth with the hair not being an exception. Once they start feeding on solid food, continue with the legacy of feeding them with healthy and balanced diets. Include salmon, eggs, and spinach other healthy proteins in their diet. Furthermore, regularly contain a lot of Vitamin D rich foods like carrots, baby walnuts, almonds, sweet potatoes, apricots, and pumpkin. Managing your baby’s hair should never be a matter of casting the dice and waiting to see what happens. It should be a properly managed and calibrated affair. In fact, you should treat it like a science. With that said you don't have to fret when you come across something unusual with your baby’s hair. 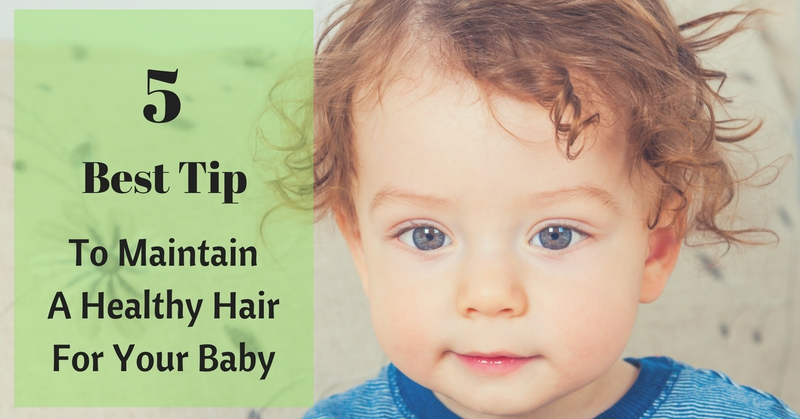 With the above 5 tips, your baby will have the last laugh when it comes to a healthy hair. You can share some other tips that you use in maintain your little one’s hair in the comment section. Writing from Copenhagen, Denmark, Jane is an entrepreneur and a full-time housewife. She spends most of her time on doing kitchen stuff reviews and owns several health and home sites such as Thefitbay, Jane’s Kitchen, That Sweet Gift, Runnerclick and Nicershoes.